WASHINGTON DC/AMSTERDAM/LONDON – The Global Network Initiative today released its 2015/16 Public Report on the Independent Assessments of member companies Facebook, Google, LinkedIn, Microsoft and Yahoo. Based on a detailed evaluation of the confidential assessment reports prepared by independent assessors, GNI’s multistakeholder Board determined that the five companies are compliant with the GNI Principles. A finding of compliance means that the companies are making good faith efforts to implement the GNI Principles and to improve this implementation over time. This marks the completion of the GNI’s second cycle of company assessments, which are unique in the ICT industry. These independent assessments — which included a detailed examination of 59 case studies of government requests for user data or content removal around the world — demonstrate that amidst sustained threats to freedom of expression and privacy rights, users are benefiting from the implementation of the GNI Principles by participating companies. “At a time of escalating demands for online censorship and surveillance from governments around the world, these assessments demonstrate that when companies have rigorous systems and processes in place they can act to responsibly and effectively respect and protect user rights to privacy and freedom of expression,” said Mark Stephens, CBE, GNI Independent Board Chair. The GNI assessment process is confidential by design. It allows companies to share and discuss sensitive cases of government requests with GNI’s board members from civil society, academia, investors, and from other companies. It also allows discussion of internal company systems and processes to implement the GNI Principles. To increase transparency about how the assessments work, the GNI has released the Assessment Guidance and Reporting Framework used by assessors to conduct the assessments. This Public Report also publishes, for the first time, details of some non-anonymized cases. The cases reviewed during the assessments illustrate how companies are using the GNI framework to question and challenge overbroad government requests — including in local courts where appropriate — that may be in violation of local laws or inconsistent with international human rights standards. This approach has resulted in requests to provide user data or restrict user content being denied in full or in part. The cases also illustrate the expanded deployment and integration of human rights impact assessments and staff training across company operations, including to identify and to mitigate risks to privacy and free expression in product design, mergers and acquisitions, and business relationships. Each assessment also includes recommendations to the company aimed at continued improvement of their policies and processes related to freedom of expression and privacy. These recommendations are for the company’s consideration. Highlighted in the report are important areas of ongoing challenge for company implementation of the GNI Principles. They include: continuing legal limits on the disclosure of national security requests; the acute strains on the mutual legal assistance treaty (MLAT) system, which allows law enforcement to legitimately collect digital evidence across borders; and escalating government pressures on companies to remove “extremist” or “terrorist” content from their platforms in ways that may conflict with rights to privacy and free expression. A Step-by-Step Guide to the GNI Independent Assessment Process is here.  Launched in 2008, the Global Network Initiative (“the GNI”) occupies a unique place in the global conversation about freedom of expression and privacy in the Information and Communications Technology Sector. The GNI is a multi-stakeholder forum that brings together information and communications technology companies, civil society (including human rights and press freedom groups), academics and investors from around the world to protect and advance freedom of expression and privacy. As of June 2016, the GNI has 46 participants from across the world. They include members who bring global as well as country-specific expertise, including from China India the United States, Sweden, Italy, United Kingdom, Argentina,, Pakistan, Azerbaijan, and South Korea. When companies join the GNI they commit to the GNI Principles and Implementation Guidelines, which provide a framework to guide the ICT industry and its stakeholders on respecting the freedom of expression and privacy of users around the world. The GNI Principles are based on international human rights laws and standards, and informed by the UN Guiding Principles on Business and Human Rights. When companies join the GNI, they agree to have their implementation of the GNI Principles assessed independently by participating in the GNI’s assessment process. The assessment is made up of a review of relevant internal systems, policies and procedures for implementing the Principles (“the process review”), and an examination of specific cases or examples that show how the company is implementing them in practice (the “case review”).